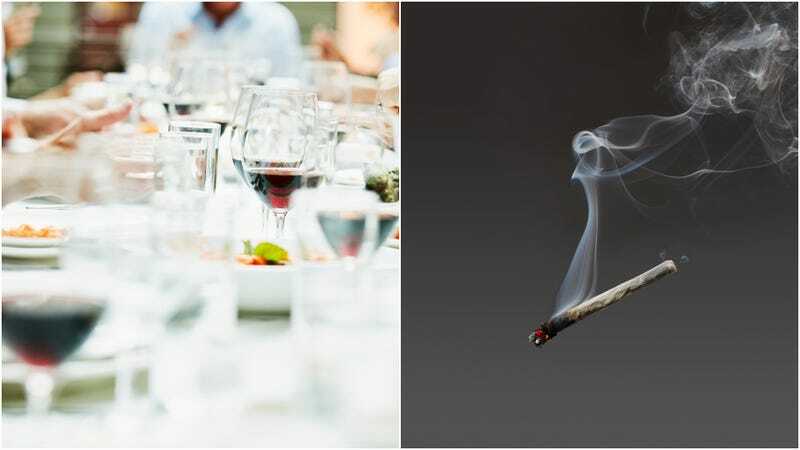 It’s a cliché, sure, but you really can’t make this stuff up: Memphis police are looking for a group of about 20 people who skipped out on a $420 restaurant bill after antagonizing staff and, in keeping with a theme, lighting up a joint at the table. WREG Channel 3 reports that the large party came in to Frida’s Mexican restaurant about a half-hour before closing time on Sunday night. They then proceeded to pile up on expensive menu items, “like $11 margaritas” (sounds like a steal, actually) and “the grand burritos, Frida’s special steak, steak and shrimp,” according to restaurant manager Jesse Gonzalez. Then the bartender caught whiff of something “that didn’t smell like grilled steak and peppers”—ha, good one, WREG—because one member of the party, who the manager considers the “leader,” straight-up started smoking pot at the table. When servers asked him to stop, the people at the table started yelling at them. Then one by one the members of the party walked right out, some even taking their blue margaritas with them. While Gonzalez has seen walkouts before, he said he has never witnessed anything like this mass effort. He even thinks they planned the pot smoking as a ruse, telling Channel 3, “You don’t think they’re gonna do that, especially on a Sunday night. One guy got them all riled up at the same time.” These don’t seem to have been the wisest dine-and-ditchers in the world, though, since all of them can clearly be seen on the restaurant’s security cameras, although none of them have been caught as of this writing.